There’s good reason to lace up your sneakers, round up the kids in the family, and get going places beyond the living room couch. Sure, the fresh air is amazing and, yes, Ottawa is full of enticing green spaces, but those aren’t the real motives for leaving the car and the remote control behind now that the spring thaw is here. More active living is a smart — and necessary — health move for both youngsters and oldsters. 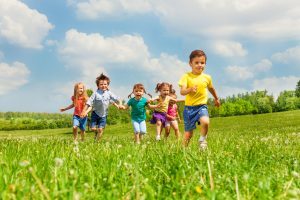 Only 35 per cent of Canadian kids and teens aged five to 17 are meeting national physical activity guidelines of 60 minutes of heart-pumping physical activity per day. Only 13 per cent of adults aged 60 to79 years meet or exceed the physical activity guidelines for their age group, versus 21 per cent of people in the 18-to-39 age group. Since 1971, this national non-profit organization has been motivating Canadians to get moving for the sake of our health. Whether you’re 60 or six, though, the benefits of making physical activity part of your daily routine are considerable and timeless. Not only do you sleep better, feel better and function better, you think better too. Besides being good for your skeleton and your musculature, including your heart muscle, regular exercise boosts brain function; it’s important for kids’ developing brains and for grandparents’ aging brains. Concentration, mood, confidence and mental health are all positively impacted by regular physical activity. Getting active with youngsters is a wonderful way to stay connected too. There are lots of activities you can do together, including bike-riding, bowling, public skating, taking the dog for a walk, playing mini golf or ball games at the park. An outing to the wave pool or one of the city’s indoor swimming pools is another fun option. It doesn’t have to cost a lot, or anything at all.